A10チップを搭載した「9.7インチiPad (第6世代)」はHEIFおよびHEVCメディアの撮影が可能。 | AAPL Ch. 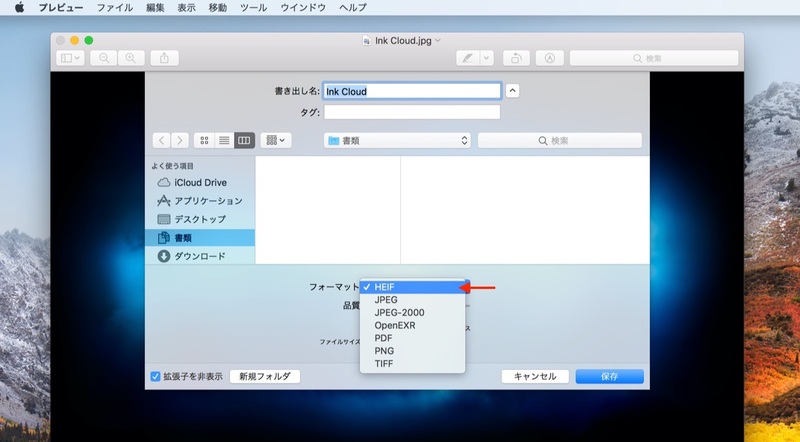 So where and how can we create HEIF image and HEVC movie content? 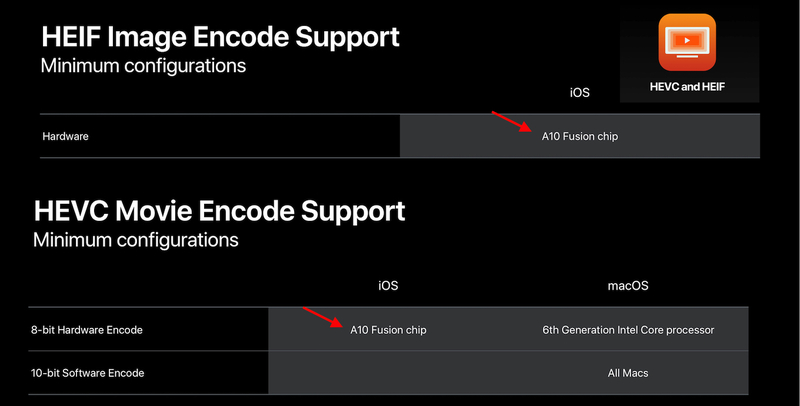 So, as you can see, we currently only have HEIF encode support and hardware on iOS with minimum configuration being the A10 Fusion chip, an example, of which, is the iPhone 7 and the iPhone 7 Plus.